The Powder Ridge subdivision is located off the Sunday River Road, just down the street from the iconic Artist’s Covered Bridge. It boasts beautiful views of Sunday River Resort from many areas within the sprawling neighborhood. The development has many cul-de-sac streets named after various western ski resorts. It was first created in the early 1990s and added on to over the next decade. There is also a townhome project, Powder Ridge condominiums, located off of Douglass Road, the main artery of the subdivision. Home styles are more eclectic in the neighborhood because of its slightly less restrictive Covenants than the newer subdivisions within the access road. 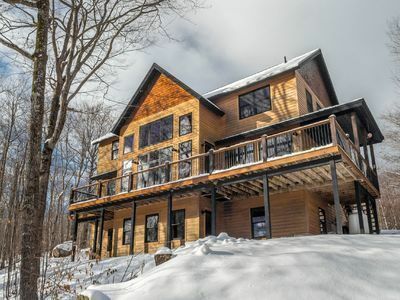 Powder Ridge is the only location which has had two home sales priced more than $1 million. The project has well-maintained, private paved roads. The utilities are above ground. Property listings for Powder Ridge Homes & Land Newry, ME.